This brochure is from 1985 when Xerox had built a second generation of the Xerox Star hardware and new versions of the Star software. 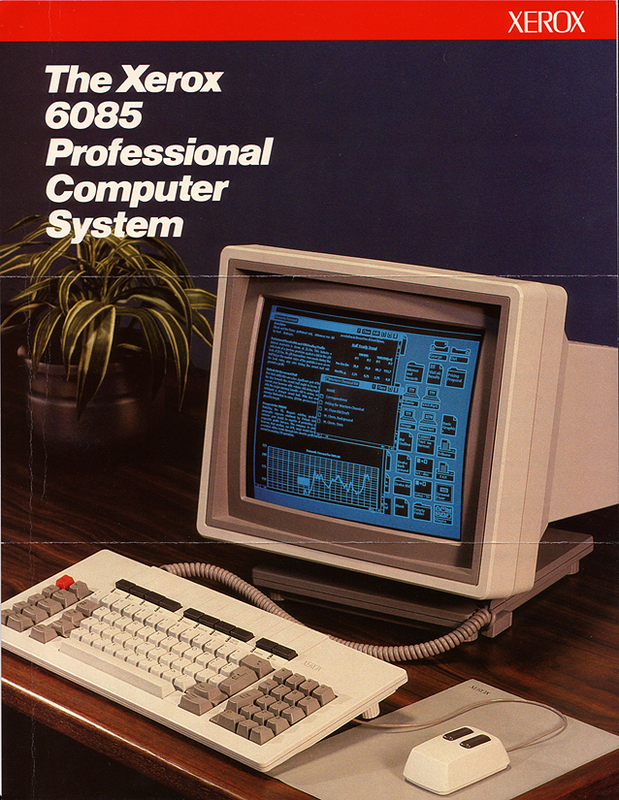 The new hardware was called the 6085, and the software was completely revamped. It was significantly faster and more polished. It allowed the user to do multiple things at once -- something that Macintosh couldn't do until mid-1987, and Windows even later. 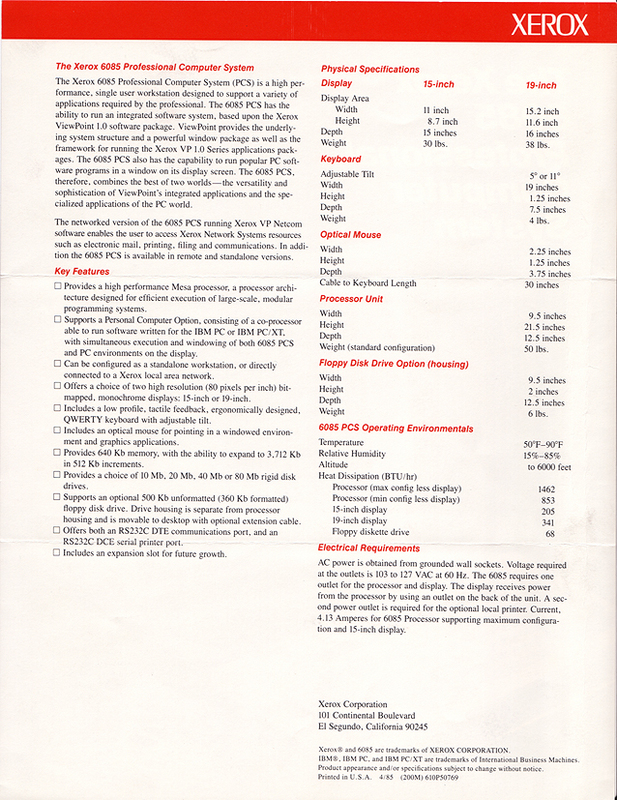 The 6085 product came with 19 inch and 15 inch monochrome monitors instead of the 17 inch monitors from the original 8010 product. One interesting thing to note about all of the Xerox displays is that all the visible screen was usable. This is in contrast to today's monitors that have a black border around the usable area -- and that the manufacturer includes when reporting the monitor size. Xerox monitors were actually larger than the quoted size and the black border was hidden by a bezel. This was intentional because the designers thought the black border made the desktop seem more like a picture. There was even a version of this hardware that came with a 19 inch color monitor. This product was sold by the sister organization, Versatec for doing CAD. NOTE: The screen below is set to reverse video -- an option that some users preferred. However, it was not as easy to read as the normal black on white, and was not what the initial designers intended. I have no idea why the photographer/marketing people decided to use reverse video.